I have been working with cowboy boots since 2011. 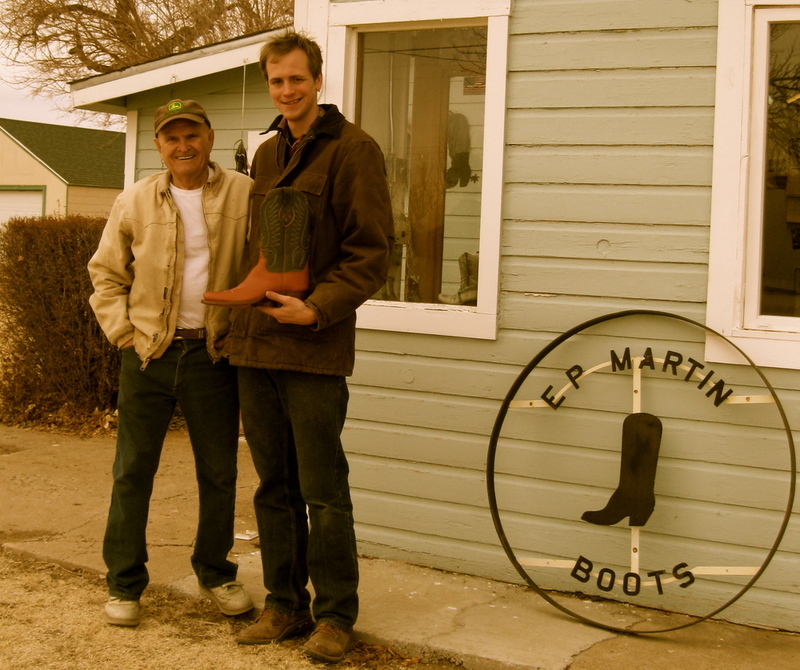 Amarillo native and master boot-maker Ed Martin of Las Animas, Colorado trained me in his method of bootmaking. He taught me the ins and outs of the trade as well as many of the trade secrets he learned while working under first generation boot-makers of Amarillo. Click the picture to learn more about Ed. My boots are made with love and passion and according to Ed's philosophy of striving after perfection.